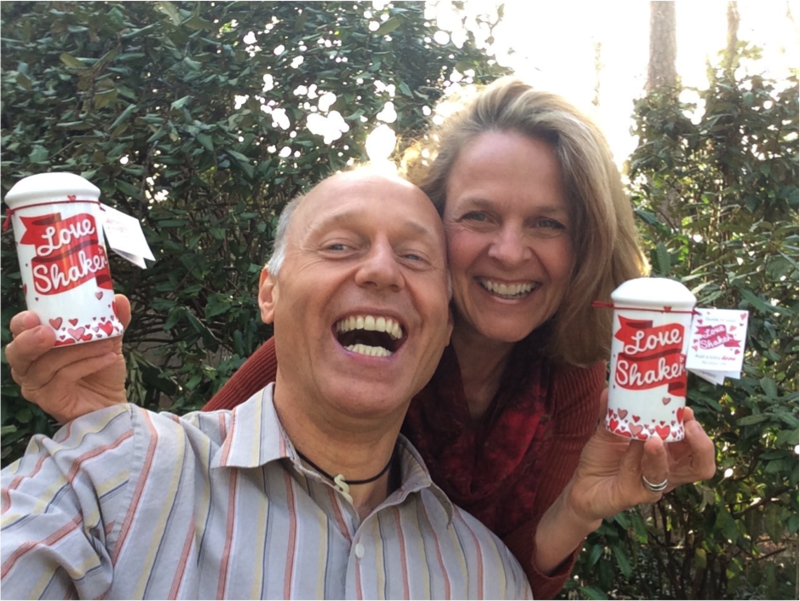 The Love Shaker is the perfect gift and the perfect way to share love with everything and everyone in your life! In the year 2000, I was taking a class at a retreat center. Each day every retreat participant volunteered to do an act of loving service for the center. I volunteered to help in the kitchen. One afternoon in the kitchen the volunteers started to tell stories. One woman shared a sweet story about a mother who regularly added the secret ingredient of LOVE to her family’s food. Together we talked about how beautiful, tasty and nourishing the food was at the retreat center. We asked one another “What was it that made the food look, taste and feel so good?” We all decided it was because we were adding the secret ingredient of LOVE! It was that afternoon I had an AHA! moment. I envisioned “The Love Shaker”: a magical instrument that would add the secret ingredient of LOVE to every part of our lives! When I returned home, I made Love Shakers. I filled the shakers with a lotta LOVE and added blessed maize/popcorn to create a gentle sound when shaking. After I gave Love Shakers to my family and friends as gifts, I received glowing feedback. Everyone loved their Love Shaker. 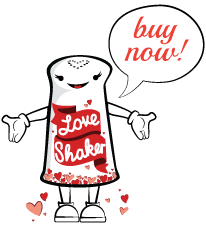 The Love Shaker is the perfect gift for everyone… because Love makes everything better! The Love Shaker can add the secret ingredient of love to enhance your food, lift your mood and brighten any celebration!